FRANKFURT -- Industry watchers say a Greek exit from the euro after the country's no vote to austerity terms could impact southern European markets, along with Fiat Chrysler Automobiles and PSA/Peugeot-Citroen, the automakers most exposed to those markets. Spain and Italy are among countries that have shown the biggest rise in new-car sales, said Barclays analyst Kristina Church. “The sales data we are seeing coming through so far is not showing any impact as yet, but it is definitely a wait-and-see scenario," she said. Exane BNP Paribas said the fallout from the Greek vote would most likely be felt in Italy, Spain and Portugal. It said PSA and Fiat Chrysler are the automakers most exposed to those markets that comprise nearly 12 percent of their group volumes, while Volkswagen is the least exposed at just 5.2 percent. The bank now sees a Greek exit from the euro area as the most likely scenario, but believes that sufficient action has been taken for the moment by the European Central Bank to fence the issue. After plunging to a 20-year low in 2013 following the euro zone debt crisis, car sales in Europe have slowly rebounded, with volumes rising 5.4 percent last year and a further 6.7 percent in the first five months driven by healthy double-digit gains in Spain, Italy and Portugal. But European data from June leading up to the July 5 referendum in Greece, has yet to be published, and it remains unclear how car buyers may have reacted amid brinkmanship between the Greek and other euro zone governments. 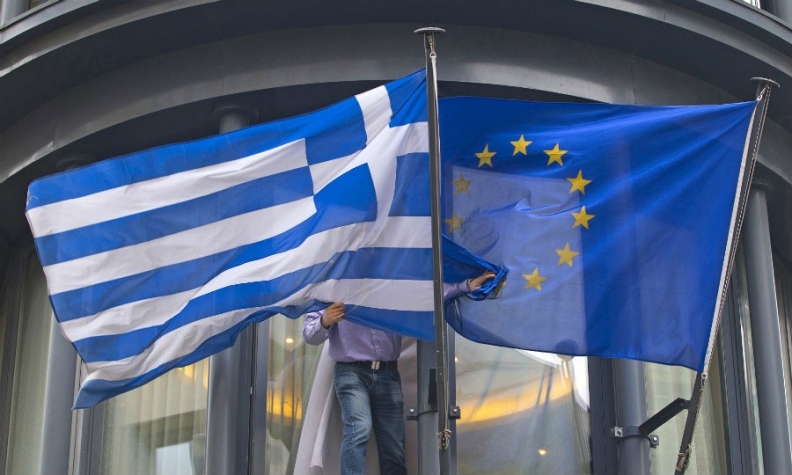 Currently Exane BNP Paribas forecasts a 6 percent rise in EU volumes this year followed by a 5 percent gain in 2016, estimates that could be revised as the situation in Greece unfolds. IHS Automotive analyst Tim Urquhart said the no vote increased substantially the prospect of a Greek exit from the euro. "The outlook is not positive and is hard to determine the effect of confidence and longer-term possible contagion effects," he said in a statement. Germany, Europe's largest market, could be hit by the euro zone turmoil if other countries follow Greece and ask for a less austere bailout program, Barclays analyst Church said. German consumers may postpone big ticket purchases such as cars if they believe that other countries will need a bailout, she said. Germany’s export-reliant carmakers meanwhile reaffirmed their hardline stance on Monday. "[The attitude] must not be to keep Greece in the euro zone no matter what the cost, and that statement remains valid even after the referendum,” said Matthias Wissman, president of the VDA industry association, in a statement. Analysts say the Greek auto market is so small that a collapse in sales will not have a significant impact on automakers. Last year, 71,128 new-car registrations were recorded in Greece, according to European automakers association ACEA, about the same volume as Slovakia and Romania. Sales in Italy were 1.36 million and in Spain 855,300 cars were registered. Portugal's volume was 142,827.